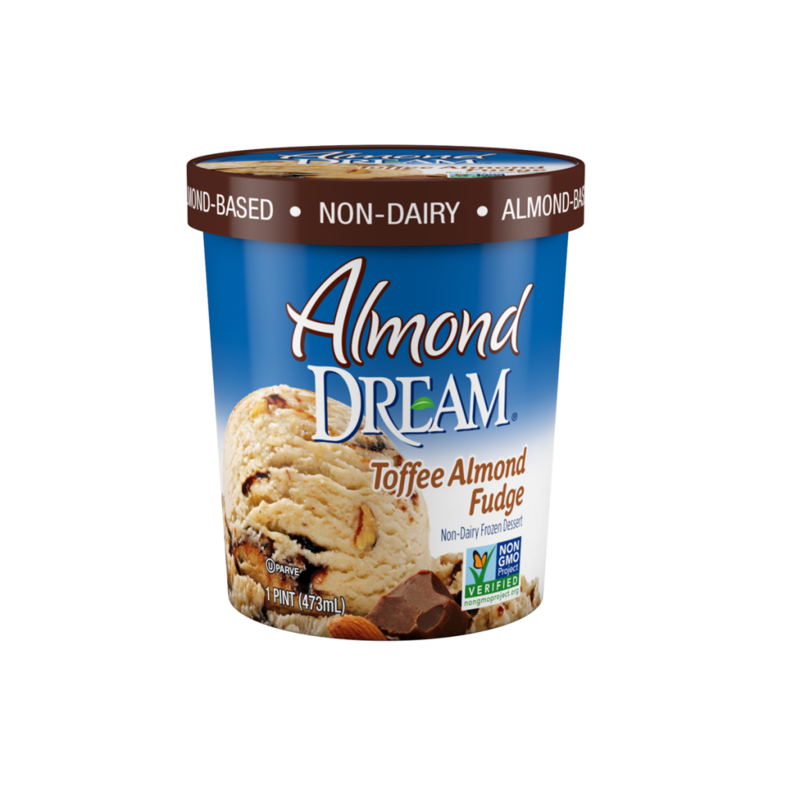 Almond DREAM® Toffee Almond Fudge Non-Dairy Frozen Dessert is a deliciously rich and creamy frozen treat made from real almonds. With its sweet fudgy deliciousness, it just might make you say goodbye to dairy ice cream – and the extra fat and calories – for good. 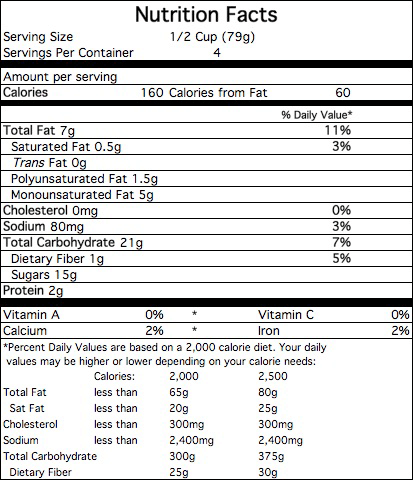 FILTERED WATER, CANE SYRUP, ALMONDS, EXPELLER PRESSED OIL (SUNFLOWER AND/OR SAFFLOWER), TAPIOCA MALTODEXTRIN, CONTAINS 2% OR LESS OF COCOA PROCESSED WITH ALKALI, POTATO STARCH, GUAR GUM, CAROB BEAN GUM, CARRAGEENAN, TAPIOCA STARCH, RICE STARCH, NATURAL FLAVORS, SUNFLOWER LECITHIN, SALT.